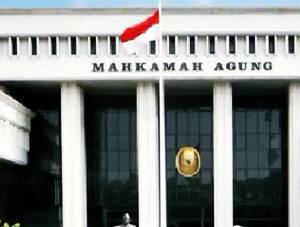 Mahkamah Agung Republik Indonesia - Mahkamah Agung or known as MA is the Supreme Court of Republic Indonesia. Mahkamah Agung is an independent high state institutions in Indonesia which is a holder of judicial power with the Constitutional Court. Mahkamah Agung supervises the judicial bodies in the general courts, religious courts, military courts, and administrative courts. Mahkamah Agung Republik Indonesia is based in Jakarta and its head office is reistered at Jl Medan Merdeka Utara No 9-13 Jakarta 10110. Mahkamah Agung was led by a chairman, and since March 2012 held by Muhammad Hatta Ali, replacing Harifin A. Tumpa. The Justices of the Supreme Court nominated by the Judicial Commission with DPR confirmation and Presidential appointment. The number of justices positions at the Supreme Court maximum 60 people. S1 degree in Computer Science / Informatics Engineering / Information System / Computer Engineering (1 formation). JobsCDC.com now available on android device. Download now on Google Play here. Please be aware of recruitment fraud. The entire stage of this selection process is free of charge. Mahkamah Agung - 1052 Formations D3, D4, S1 CPNS MA September 2018 will never ask for fees or upfront payments for any purposes during the recruitment process such as transportation and accommodation.